Say goodbye to razors or costly waxes, and say hello to the fastest way to permanently smooth skin. Laser hair removal means you can bare it all without the hassles of ingrown hairs killing the mood. 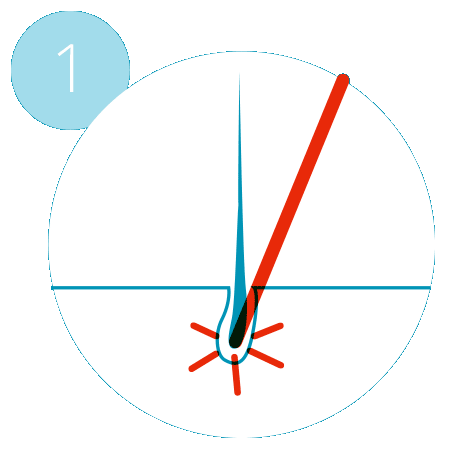 Lasers target hair at the root. Permanent Results†. No more shaving or painful waxing. Ever. Smooth skin is here to stay. Be Ready. Always. Last minute appointments and the waxing-waddle will be a distant memory. You’ll always be prepared with smooth skin after laser hair removal. Gentle Hair Removal. 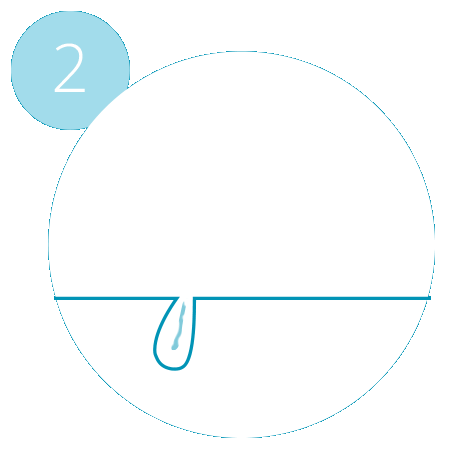 Because the laser targets the hair follicle, your skin doesn’t suffer through the abrasive action that razors, depilators, or hot waxes can cause so you don’t risk breaking the protective surface of the skin. Unlimited Package. Have a rogue hair that didn’t get the memo about being hair free? You’re covered with Milan! We’ll take care of it, no questions asked, and no additional cost. Lips to legs, laser hair removal at Milan can take care of any hair on your body with ease. 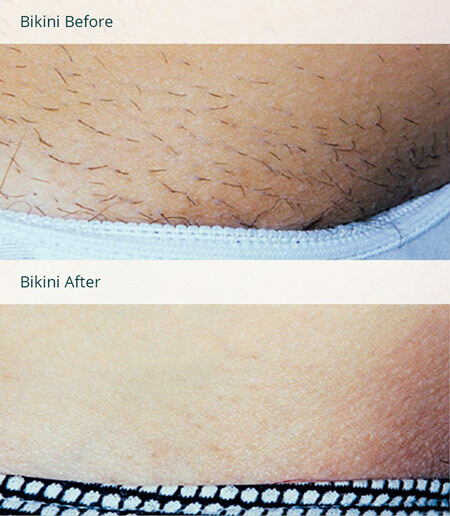 Our laser can treat delicate areas (like Bikini and Brazilian), and gently eliminates your hairiest concerns. Milan's staff is discreet and professional, so even the most sensitive areas will be well-cared for. Got a question about a specific area? Don't be bashful, we've heard them all! …the pleasures of permanently smooth skin. Book your free consultation to customize your hair removal so you can be smooth in all the right places. 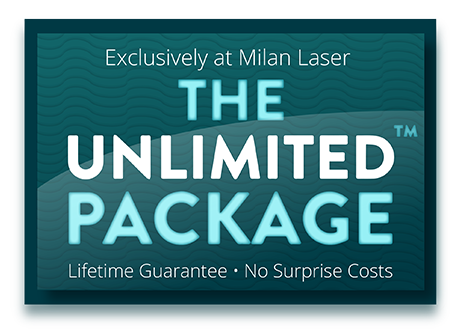 Exclusive to Milan Laser, the Unlimited Package™ is the only laser hair removal package that includes unlimited sessions of laser hair removal on an area for one affordable price. The average person needs 7 to 10 sessions, and packages are typically sold in 6 or 9. Too few, or not enough? Not with the Unlimited Package at Milan. No surprise costs, and no running out of sessions before you’re completely smooth! 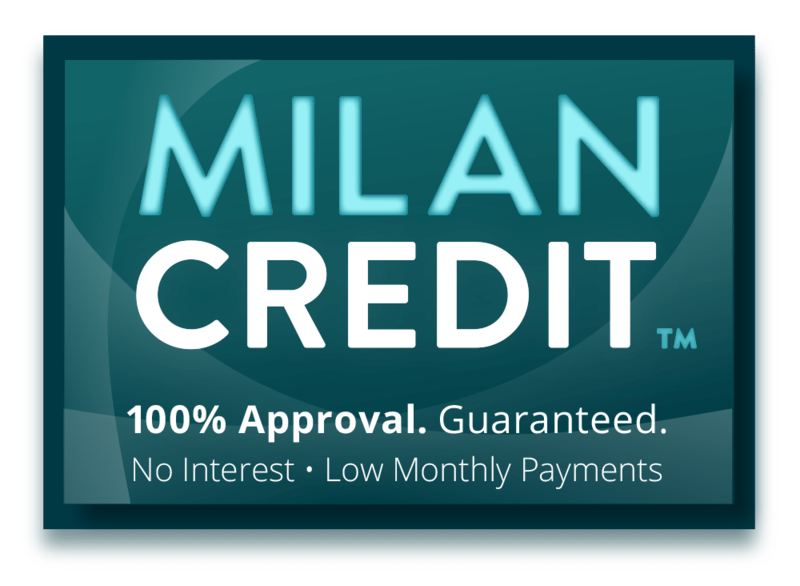 At Milan, we believe you deserve to have smooth, hair-free skin at a price you can afford. That’s why we offer everyone affordable payment plans! The Unlimited Package, with a lifetime guarantee. 4.9 out of 5 based on 253 reviews.